The Sony hack copied a multinational company’s financial documents, its employees’ personally identifiable information and years’ worth ofembarrassing – and poorly written, it must be said – emails from high-level executives and released them all for the world to see. But for many cybersecurity observers, the real eye opener was how the hack illustrates today’s cyber landscape: It’s likely to get worse before it gets better. A growing collection of high-level computer security experts believe evidence points to aninsider-orchestrated attack, while the U.S. government quickly blamed and sanctioned North Korea, whose leader, Kim Jong-un, is portrayed in an unflattering fashion in the Sony-backed film, The Interview. Meanwhile, as Sony’s image continues to tarnish with each leaked, scandalous revelation, the company experienced an added layer of suffering other data-breached companies — Target, Neiman Marcus and Home Depot — had avoided. DALLAS, Jan. 7, 2015 /PRNewswire/ — Trend Micro Incorporated (TYO: 4704; TSE: 4704), a global leader in security software, has announced a $10,000 donation to the Mission College Center for Innovation and Technology (MC²IT). The grant will provide resources and expertise to advise and help enhance cybersecurity course curriculum. As the security and privacy industry continues to expand and evolve, Trend Micro is committed to encouraging students to enter the cybersecurity field while empowering them with the core competency to do so. As a member of the MC²IT advisory board, Trend Micro and other security and privacy leaders recognize the challenges presented by a lack of skilled cybersecurity professionals. With the advent of new technology, experts and professionals will need training on how to investigate and manage corresponding threats. WASHINGTON — A Silicon Valley cybersecurity firm is doubling down on its claim that at least one former Sony employee was involved in hacking Sony. Some former employees of the company are expressing that sentiment as well, even as the U.S. government stands by its conclusion that North Korea orchestrated the massive cyberattack. Kurt Stammberger, senior vice president at Norse, which provides cyber intelligence to customers in financial services, technology and government, told The Huffington Post that the company remains “pretty confident” that “at least one ex-employee was involved, probably more” in the Sony hack. As evidence, Stammberger said that Norse has samples of malware used in the Sony hack that existed as early as July, “completely in English with no Korean whatsoever.” Sony credentials, server addresses and digital certificates were already built into the malware, he added. The high-profile hack at Sony Pictures has injected new urgency into the years-old push for cybersecurity legislation, with a broad spectrum of lawmakers suddenly vowing to take action in the new Congress. “It’s basically fair game for everything cyber” after the cyberattack on Sony, said Jessica Herrera-Flanigan, a lobbyist at Monument Policy Group, which represents tech giants like Microsoft. The recent cyber assault caused Sony to briefly pause the release of a multi-million dollar movie, spurred a White House response and escalated tensions between the U.S. and North Korea, which the FBI has blamed for the attack. It has also transformed what some viewed as a stale debate on Capitol Hill over cybersecurity issues. 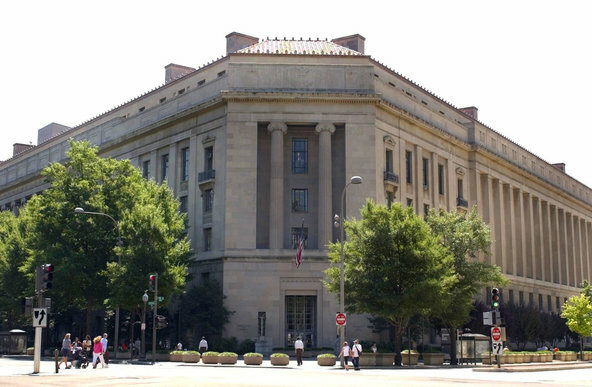 The U.S. Justice Department is creating a unit within the criminal division to advise on electronic surveillance in cyber investigations and work with the private sector to prevent online crime. The new unit, housed within the Computer Crime and Intellectual Property section, will work with law enforcement, the private sector, and Congress, said a Reuters report. “It is important that we address cyber threats on multiple fronts, with both a robust enforcement strategy as well as a broad prevention strategy,” said Leslie Caldwell in prepared remarks before a cybercrime conference, saidReuters. A member of Europe’s oldest hacker collective, the Chaos Computer Club (CCC), claimed to have cloned a fingerprint of a Germany’s federal minister of defense, Ursula von der Leyen, using pictures taken with a”standard photo camera” at a news conference. According to the report, the group – known as ‘Anunak’ – focuses their frauds on the corporate network, targeting internal payment gateways and internal banking systems. In this way, they steal money from the banks and payment systems themselves and not from the banks’ customers. In addition to this activity, the gang has also compromised media groups and other organizations for the purpose of industrial espionage and possibly to obtain a trading advantage on the stock market. In cases where the group got access to government agency networks, their aim is believed to be espionage-related, the researchers report. All totaled, the group is known to have hit more than 50 Russian banks, five payment systems and 16 retail companies. Most of the retail companies are outside of Russia, but no U.S./EU banks are known to have been attacked.